Essays by Susanne Pfleger, Christa Lichtenstien, Maria Sabine Schmidt, and Hans-Joachim Throl. Who amongst us has never though, especially while lying somewhere in a rolling countryside, that the natural landscape and the human figure share much of their forms? 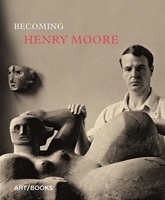 Henry Moore, the celebrated English sculptor, created a century-spanning oeuvre that perfectly illustrates his comment, "knees and breasts are mountains." 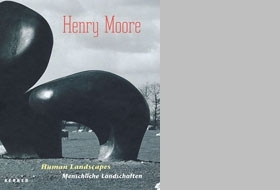 The human figure and the landscape were two of his enduring fascinations, and he successfully combined them in such sculptural works as Woman (1957-58) and Reclining Figure: Hand (1979), wherein he related the female form to undulating hills. 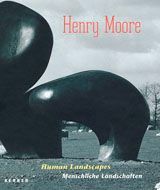 The multiple-piece compositions that he began in 1959 break the figure down more dramatically into separate monumental masses resembling rock formations. 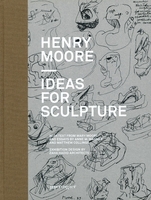 The transformation of the body into landscape is not restricted to Moore's three-dimensional work but also appears in drawings such as Mountain (Reclining Woman) (1982) and Rock Form (1979). In his works on paper, Moore's viewpoint ranges from an ant's-eye view, looking up at towering natural features, to a bird's-eye view of imagined worlds.